These days, with such a large variety of filaments on the market, the quest for the “perfect” filament has begun. Filaments have many different properties and applications, making the correct filament choice extremely difficult. Some filaments have higher melting points, and these filaments are typically much stronger. Others have lower melting points, and these filaments may melt in the sun! Many different companies (including eSun) have been experimenting with different blends of these properties in the quest to create the “perfect” filament. Theoretically, the “perfect” filament would be a nice blend of all these different properties. It would be strong, but not brittle. It would be dimensionally accurate, but it wouldn’t have layering or surface quality issues. As you can see, creating the “perfect” filament is quite the task. eSun has taken their shot at the “perfect” filament with their version of HIPS; one of the best selling filaments in their product lineup. Ever since I’ve had my Lulzbot Mini, I have been testing eSun’s HIPS filament. For a long time, (they have since changed) Lulzbot has recommended HIPS as the best filament to print with on their machines. Knowing this, I purchased a role of HIPS with my machine, and it has served me relatively well. eSun has a reputation in the 3D printing world of selling cheap, low-quality filament, though, so my expectations weren’t set very high. In this review, I will go through each of the categories listed above and explain my rating of each one. As stated above, eSun is known for making “cheap” filament. While this is great for people on a budget, it really shows in the quality of their filament. I’m assuming eSun has low quality control in their factories, judging by the quality of the filament I received. The diameter of the filament was extremely variable, which led to some hiccups later on down the road. The filament itself was relatively smooth though, so I needed some digital calipers to uncover the lack of quality control. Overall, the quality of eSun’s filament is definitely one of their weaker points. The HIPS (high impact polystyrene) printed extremely well on my Lulzbot Mini. I printed the HIPS with the settings recommended by Lulzbot, and my results were great! The filament lay down like butter, with only the occasional bump and divot. Everything printed nicely, but the HIPS struggled slightly with layering (this could just be my printing settings). The recommended settings can also be “challenging” for some printers, as the nozzle must heat up to 240 degrees, and the heated bed must heat up to 110 degrees! Other than that, though, the HIPS was very printable and I enjoyed printing it. The parts I produced using HIPS filament looked nice. The filament lay down smoothly, and most everything was printed correctly. However, the HIPS struggled slightly with dimensional accuracy, as I experienced some warping and shrinking in my parts. Overall, though, the prints I made using HIPS looked great. It’s always interesting to measure filaments by their “ease of use”. Some filaments are nearly impossible to print with, but the results produced are incredible. Others are easy to print with, but the results aren’t so great. I believe HIPS struck a perfect balance in between the two. While it requires difficult temperatures for some machines to print with, I believe the filament was extremely easy to print with overall. (Its recommended by Lulzbot themselves!) The filament stuck nicely to the bed, and it lay down smoothly and easily. In conclusion, I believe HIPS is a nice filament. While it wasn’t quite the exceptional material I was hoping for, it did bring some nice print qualities. The filament is extremely easy to print with, and it produces some nice looking prints. This combines to create a filament that is certainly capable of creating some Epic 3D Stuff. 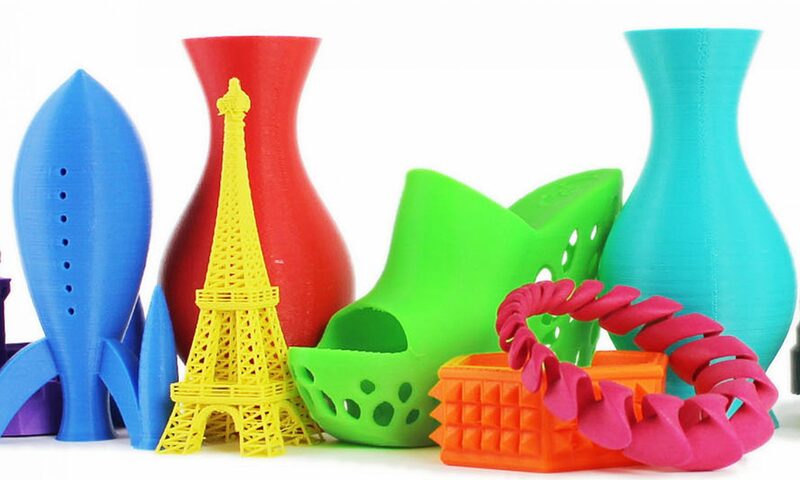 Previous PostPrevious 3D Printing Post Series: The Eiffel Tower!